I ngmar Bergman is widely regarded as one of the greatest directors in the history of motion pictures. His works are marked by intense characters, as well as intellectual and symbolic content. Ingmar Bergman was born on July 14, 1918, in Uppsala, Sweden, the son of a Lutheran minister who believed in strict discipline for his children. Raised under these circumstances, Bergman developed a love for movies, which he used as an escape from his rigid upbringing. By the age of six Bergman was making his own movies, primitive works that he pieced together from film scraps. A few years later, after seeing his first stage production, Bergman began producing his own plays for a puppet theater. In 1937 Bergman entered the University of Stockholm, where he became an active member of the student theatrical group. In 1942, after a brilliant production of William Shakespeare's (1564–1616) Macbeth, the aspiring director was appointed to the Swedish Royal Opera. In the years following he divided his talents equally between stage and film efforts. In 1945 Bergman directed his first film, Crisis, the story of an unhappy love affair which ends in suicide (taking one's own life). Several films followed closely, but in 1956 Bergman reached the peak of critical and popular praise with The Seventh Seal. The Seventh Seal is a morality (having to do with the difference between wrong and right) play about a knight who, seeking to satisfy his religious doubts and unravel the mystery of the universe, challenges Death to a game of chess. Even Bergman's critics agree that this film has visual daring with great dramatic power. A year later Bergman directed Wild Strawberries, a touching study of the difference between youth and old age. With his next film, The Magician (1959), Bergman returned to his earlier use of symbolism, where objects or events are used to represent something else. It is the story of a group of wandering magicians and their encounters with otherworldly spirits. The Virgin Spring followed in 1960, as well as several lesser works. In 1961 Bergman embarked upon his ambitious trilogy (three works), beginning with Through a Glass Darkly, an intense, almost hysterical, study of family violence. The second contribution, Winter Light (1962), presents the emptiness which follows loss of faith. The final portion, The Silence (1963), explores the problems of noncommunication. The trilogy is concerned with the problem of God's absence rather than His presence, and with the pain stemming from personal isolation rather than the puzzle of human existence itself. It represents Bergman's increasingly complex view of the world. This sophistication is also evident in the coldly poetic Persona (1966). This film tells of a bizarre relationship between a young actress who has lapsed into complete silence and the talkative nurse who cares for her. The Hour of the Wolf (1968), about an artist who is haunted by specters (ghosts), marks what some feel is a regrettable return to Bergman's earlier use of mysticism, or a spiritual search. Due to tax problems Bergman spent much of the 1970s overseas, where he produced work for television in Norway and Germany as well as in Sweden. His major theatrical films of this period include Cries and Whispers (1971) and Autumn Sonata (1978). Highly regarded among the television work are Scenes from a Marriage (1973) and The Magic Flute of the same year. In 1982 Bergman released one of his most autobiographical (having to do with a person's own life) films, the richly detailed Fanny and Alexander. Announced as his final film, it brings together many different themes from his previous works and is seen as a powerful summary of his life and career. Since Fanny and Alexander Bergman has published an autobiography, The Magic Lantern (1988); a novel, Best Intentions (1989); and has continued to write and direct for Swedish television and theater. Best Intentions was produced from Bergman's script for Swedish television in 1991. The year 2001 saw the release of Faithless, written by Bergman but directed by actress Liv Ullmann (1939–). Bergman believed the movie's subject—one man's destructive affair with a married woman—was too personal and emotionally draining. Bergman's reputation has diminished somewhat in recent years, but he is still regarded as one of the great directors, and his films remain among the most widely recognized in the world. Many well-known American directors, such as Woody Allen (1935–), have paid tribute to Bergman in their own films. Bergman, Ingmar. Images: My Life in Film. New York: Arcade, 1994. Bergman, Ingmar. The Magic Lantern: An Autobiography. New York: Viking Penguin, 1988. Vermilye, Jerry. 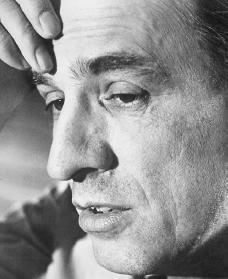 Ingmar Bergman: His Films and Career. Secaucus, NJ: Carol Pub. Group, 1997.